Who's ready for a camping trip?! 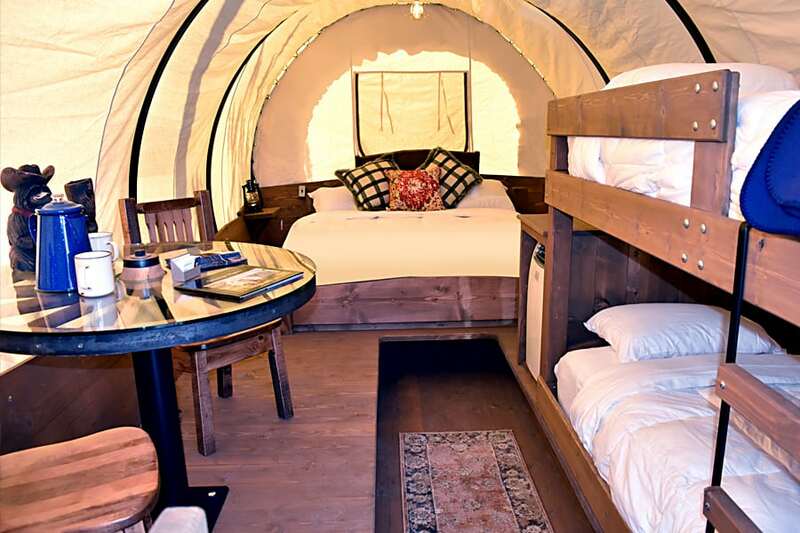 Over the last few years, glamping (glamorous camping) has become a hot trend in summer travel. From teepees to decked-out tents, there’s a glamping experience likely to appeal to every type of traveler. 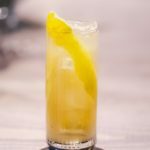 The latest glamping experience we’ve learned about is equal parts pioneer and posh, and it’s based at Yosemite Pines RV Resort and Family Lodging. 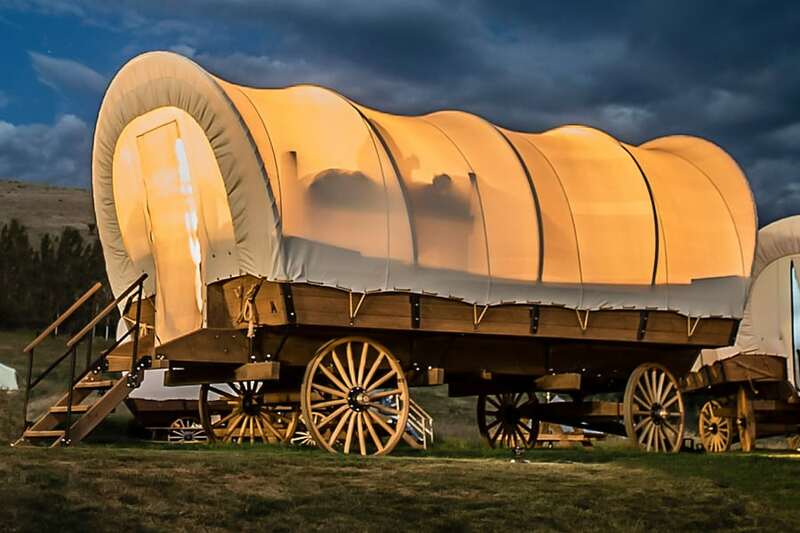 Conveniently located near the National Park, it draws inspiration from the Oregon Trail, offering two Conestoga wagon replicas as accommodations. The larger wagon contains a king-size bed and two sets of bunk beds for up to six people. The smaller wagon sleeps up to four people with one king-size bed and one bunk bed. There are adjacent restroom and shower facilities. Both wagons also feature modern conveniences, including air conditioning and heat, plus a refrigerator and a microwave, so the term “roughing it” is relative. A few steps from the wheels, there’s a fire pit perfect for roasting marshmallows and making s’mores. There is a family-friendly petting farm, but there are no oxen to worry about. 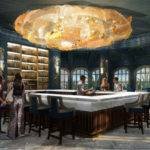 And, as far we know, cholera is not a concern, so guests can rest easy. 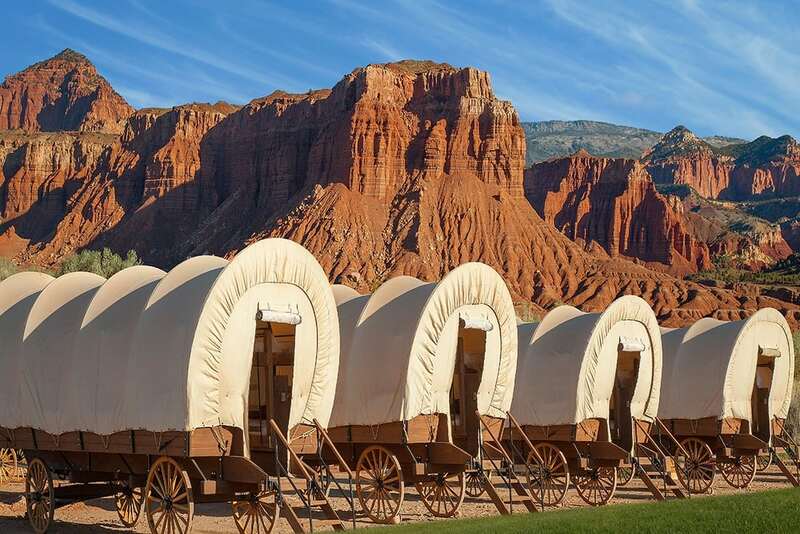 The nightly rates for a Conestoga wagon sleepover start at $179 in the summer season. Currently, they’re also offering vouchers for a discount for two nights, with rates starting at $313.50 for a two-night stay. This isn’t the only way to play pioneer for a few nights. 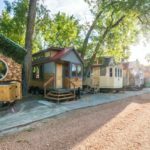 There are other glamping sites, like Capitol Reef Resort and Conestoga Ranch in Utah, with even more covered wagons available seasonally. Similarly, you can explore the original Oregon Trail routes the prairie schooners took through Nebraska and Wyoming. At Rock Creek Station State Historical Park, you can still see the deep ruts carved by the wagons and watch living history demonstrations. As an alternative, the Oregon Trail Ruts State Historic Site & National Historic Landmark near Guernsey, Wyoming, boasts some of the deepest wagon ruts. Both sites are worth the trek before retiring to a modern hotel room. Whatever you choose, your whole family can enjoy a trip back in time.